Just back from racing the 2018 St. Barths Bucket on the J Class yacht TOPAZ. One day of windward-leewards followed by three days of around the island races. A typical highlight was race 2 where all three J’s shot the finish line together and finished overlapped after over an hour of racing. 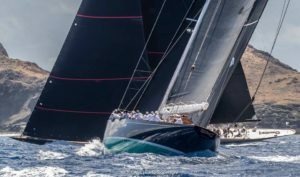 Truly a special occasion to be racing these incredible yachts around the magical island of St. Barths.